Gelsenkirchen doesn’t have the Wagner tradition of its neighbour (Essen has most of the works in its repertoire, including a multi-director Ring) and, despite its theatre’s name, presents fewer operatic performances in a season that is shared with spoken theatre, musicals and dance. But it has obvious ambition under the Intendancy of Michael Schulz – director of Weimar’s Ring – and it was playing up the ‘Bayreuth comes to the Ruhr’ line in its publicity for having attracted two of the Green Hill’s recent and current stars to sing the title roles, Torsten Kerl and Catherine Foster (Foster had also sung Brünnhilde in Schulz’s Weimar Ring). The production is Schulz’s own, and seems pretty tame after the Regie re-interpretations of his Ring. Act I is in split-level, with Isolde’s cabin shown below decks and with Tristan brooding with the crew above – there’s a sense of the male world louring over that of the female, one where Brangäne and Isolde sip tea among their luggage while Tristan hovers beside a shiny black monolith (which just brought unwanted allusion to Space Odyssey). The story is portrayed reasonably true to the text – there’s even a gold chalice for the potion – but things get a little more complicated in Act II, where the lovers negotiate a labyrinth of a revolving set, singing ‘O sink hernieder’ to the accompaniment of a young boy and girl playing with their toys in the background (‘not in front of the children’, surely), and with the climax of their duet illustrated – as if the music doesn’t say it all – by semi-naked body doubles writhing in coupled ecstasy in a glass box. A minimalist Act III has nothing but a white backdrop, that monolith again and sliding black foreground panels. It felt like three different productions, with each act having a different design ethos and progressing from naturalistic detail to monochrome stylisation. Nothing wrong with this approach in principle, but it did feel and look disjointed, and it was difficult to see what if any point was being made, both in this regard and in general in Schulz’s directorial choices. It is a production that illustrates the story well enough but does less to interpret or explore its multi-layered strands of meaning. The musical highlight of the performance was Foster’s Isolde: firm, often lustrous of tone and vividly acted – her venting of fury at ‘Fluch dir, Verruchter’, using her full height to imposing advantage, was visceral. Kerl’s Tristan was almost her equal. He sounded a little under-powered in the love duet of Act II, but was obviously pacing himself for the challenges of Act III, which he delivered with both power and subtlety. Only Piotr Prochera’s particularly villainous Melot truly impressed among the home-grown support team, though. Almuth Herbst’s Brangäne was occasionally unfocused, though her Act II warnings were eloquently sung, Urban Malmberg’s Kurwenal was light-voiced but a little too demonstrative in his delivery, and Phillip Ens’s King Mark sounded rather frayed and rough at the edges. Ibrahim Yesilay’s Young Sailor was subtly phrased and Jacoub Eisa’s two lines as the Steersman were forcefully projected, but William Saetre’s weak Shepherd was merely adequate. 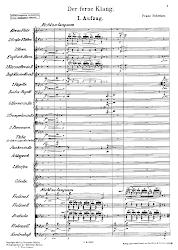 Rasmus Baumann’s conducting was nuanced, and while the orchestra coped well with the demands, its woodwind lacked sophistication at times and the whole ensemble has some way to go to develop the true Wagnerian Klang required. Barrie Kosky’s Tristan und Isolde for the Aalto Theater dates from 2006, and compared with his more recent productions is fairly sober and contained. Bravely he sets each act in a tiny cube of a room, barely three or four metres across. Act I is a cramped ship’s cabin that does service for both Isolde’s quarters and Tristan’s, the latter storming in with his drunken hangers-on and a Kurwenal who as good as rapes Brangäne during his paean to his master. There’s just room for a washbasin and tap for Brangäne to use to dilute the potion in a glass tumbler that Isolde smashes after consuming its contents. The idea of a brightly lit room in a black void is made even more minimalist in Act II. This time the acting space is still further restricted, just a grey-flocked trapezoid cube (with light fitting and bowl of fruit) that rotates during the love duet, very slowly at first and with more speed as the musical tension hots up. It’s a beautifully simple expression of a personal world in motion with the added element of jeopardy as the singers constantly need to find their feet and centre of balance. A third, still room is the setting for the final act, now seen in the context of a field of model sheep. As Tristan’s world collapses around him, the herd is shepherded out of the way and the action spills out on to the full stage for the first time. Compared to the Gelsenkirchen experience, the musical performance was generally on much firmer ground. The orchestra under Frank Beermann, until last year music director in Chemnitz and conductor of the ongoing Ring cycle in Minden, played with élan from the start, with rich strings, sleek woodwind and sophisticated overall balance. The supporting cast, too, was much better, with Heiko Trinsinger a vivid Kurwenal, Martina Dike a Brangäne with real vocal and physical presence and Tijl Faveyts a young-looking but authoritative King Mark. Where the performance fell down, sadly, was with the two principals. Rebecca Teem, as Isolde, had the excuse that she was a presumably latish replacement for the unwell Dara Hobbs, and with Kosky’s physical demands, especially in the revolving set of Act II, it is understandable that she might not give of her best. But her singing, although she had all the notes, was often strident and coarse, and had little of Foster’s tonal bloom. Jeffrey Dowd, who has been in the production since the start, and who also appeared in its previous revival in 2013, had less of an excuse for such an unengaged performance as he gave, especially in Act II where he seemed to be too conscious of the precariousness of the moving stage and as a result gave the impression of singing on autopilot. Act III was demonstrably better, where his pinched tone and occasionally mannered delivery felt more in keeping with his character’s disintegration. Playing ‘fantasy Tristans’, if one took the best from both productions – the lead roles in Gelsenkirchen, the rest, and the staging, in Essen – one would have come away with an experience closer to that elusive ideal.